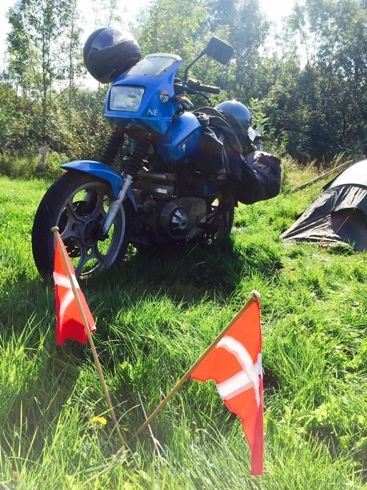 The 2015 International Diesel Motorcycle Rally, Hamm, Deutschland. 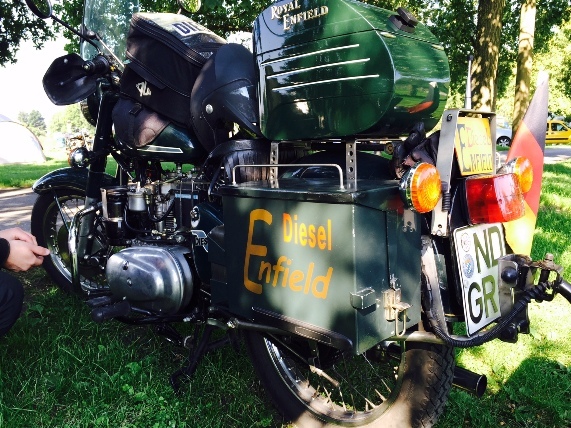 We only took one diesel bike to Brauhof Wilshaus, Hamm this year, the Ruggerfield, which was on its umpteenth journey across the continent. We arrived to find the fences/boundaries in the main field had been moved back to create a bigger space for us. And it soon filled up! Good to see new faces and old - some over from England and many from across the continent, all of whom are interested in the scene. I was struck by the age of some of the newcomers, they being much younger than some of us old hands. 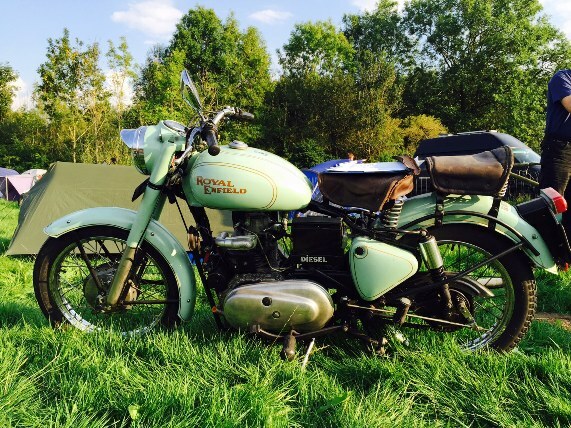 Seeing them roll onto the site riding older Royal Enfield Taurus diesel models makes it all worthwhile. Others too aplenty, keen as mustard with regards to their project motorcycles and always with the questions that the more experienced must answer wisely. I'm vexed by how the up and coming youngsters will view the older guys who are beginning to arrive at the event on petrol bikes. The best I could do this year was to ride over on the nearest thing I had to an Alternative motorbike, a Honda Grom. 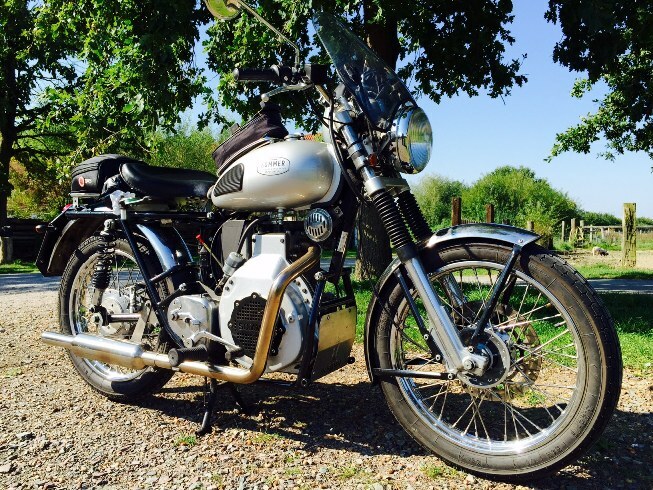 Only the madness of attempting such a journey on such a bike saved my skin I think. I’ve had one failed attempt at fixing the small oil leak from my diesel Tiger and thought it best not to risk it on our two week tour which takes in the diesel Treff. The little Alt Honda motorcycle proved itself over the trip given the small roads we used to reach our goal and the fact that the Ruggerfield moved at a similar speed. Riders came in from far and wide. It gets harder each year to write up these rallies so I’m finding myself increasingly looking at smaller and smaller things that stand out to me. Do they tell a story and if so, what does it mean? If anything struck me over the course of the 2015 rally it was perhaps the look of tiredness on the faces of some older attendees. Something easily dismissed perhaps but not when you’ve been there before and can sense the source of it. 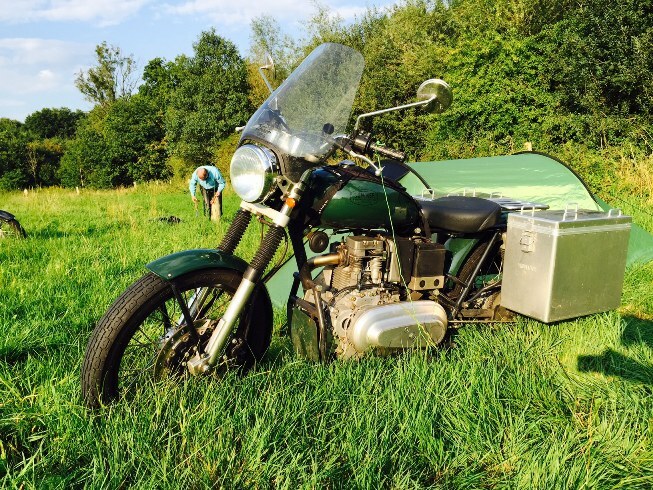 It is one thing to build your own diesel bike and, against the odds, ride it halfway across Europe; but quite another to do it year after year, thinking you’re gonna change the world when perhaps the world has other ideas. 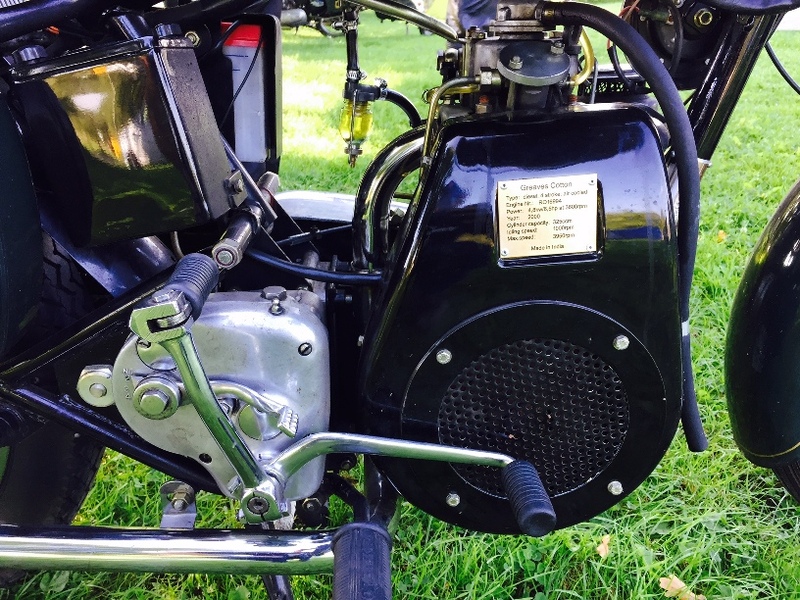 And so we come up against a conundrum and the reality that perhaps affects the #Alt motorcycle scene across the board - range and actual usability. 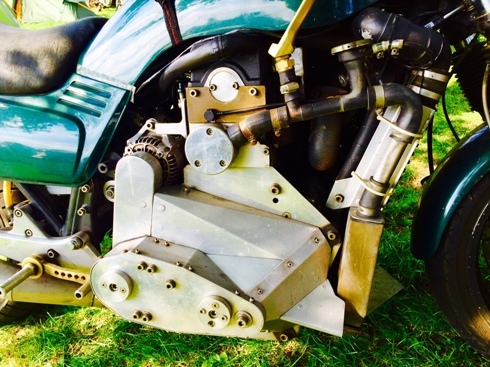 While the average homemade diesel motorcycle excels at range and can be pretty cheap to construct, it is not at all user friendly as regards speed and maintenance. On the other hand, the electric motorcycle is extremely user friendly but lacks the all-important range and a sensible entry level price. Not everyone is capable of building a turbo diesel Smart bike, a machine of which I am in possession of and a bike which has proven it is possible to create a diesel dream machine. The parts and the will power are available but the knowhow isn't there for all to exploit. And they are complicated machines compared to their electric counterparts. 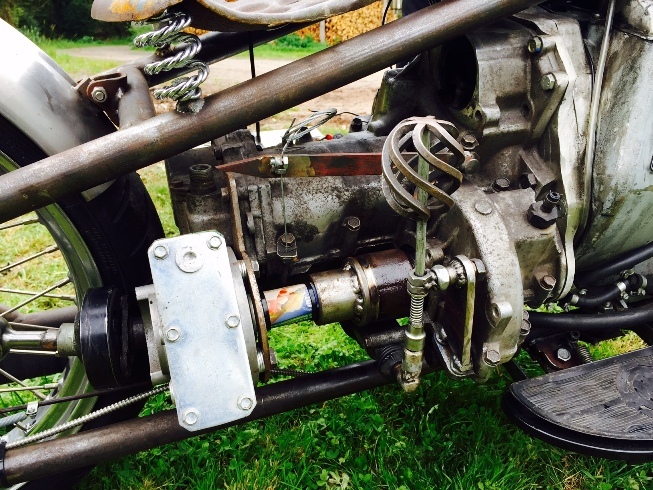 Of course, there is a healthy tradition of bike building on the diesel scene - there wouldn't be a scene without it! Rebellious and stubborn men who won't be dictated too; men who purposefully take the route of most resistance knowing they'll end up with a machine capable of taking them many, many miles for a fraction of the cost a petrol machine would. But for an alternative bike (of any ilk) to go mainstream, it's got to offer what the majority of bikers want - convenience - in all forms. Been a few years since we've seen this bike. But good to see it back where it belongs. 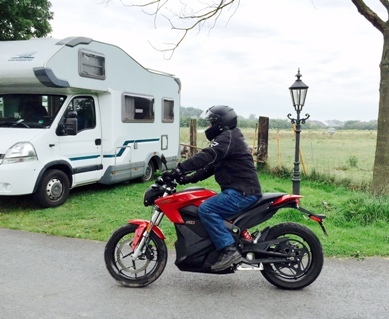 In this regard, the diesel motorcyclist should fear the electric alternative. The sheer lack of parts to go wrong is a big plus in anyone's book leaving only range and price the only real obstacles. I could envisage some inventive finance plans being offered here to encourage the curious biker along with wider tie-in’s with councils and multinationals, bodies with the clout to offer user friendly infrastructure. Getting things moving at a higher (perhaps political?) level at this early, technological stage would be the only way ahead. It may be the only way manufactures could achieve anything near critical mass on the sales front. 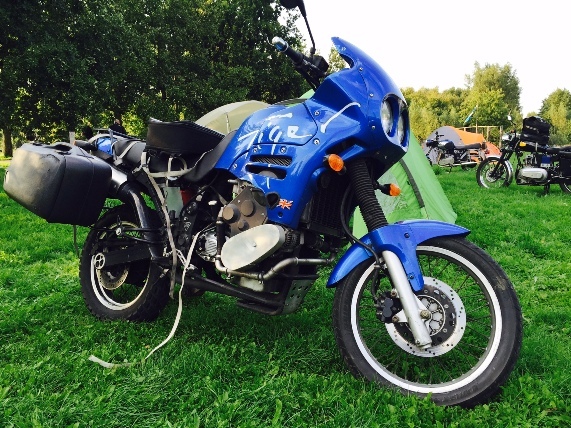 Given the growing interest in the Alt scene I could even see a market for an electric Kit Bike, a machine perhaps purchased bit by bit and assembled cleanly, over time. The sheer lack of parts could perhaps make this a very real prospect for the future. Of course, the recently mooted military motorcycle which combines an electric stealth capability with a combustion engine maybe the only hope we have of conquering the major obstacle of range. But how long (if ever?) will it be before such a machine is available to the general public? We have been disappointed before have we not? 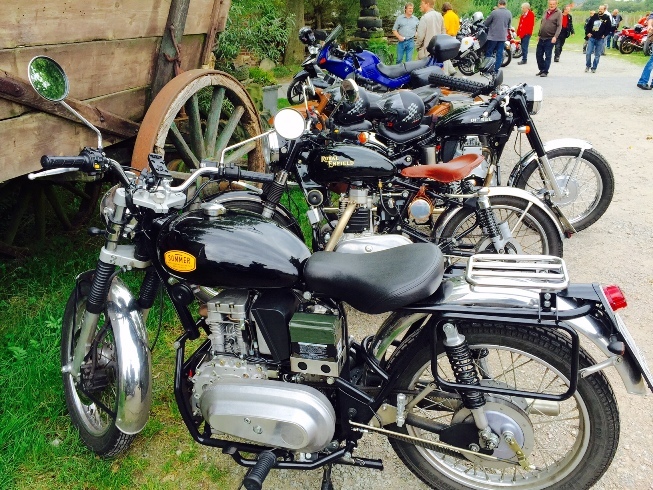 The que begins to form at the Zero Motorcycle stand. 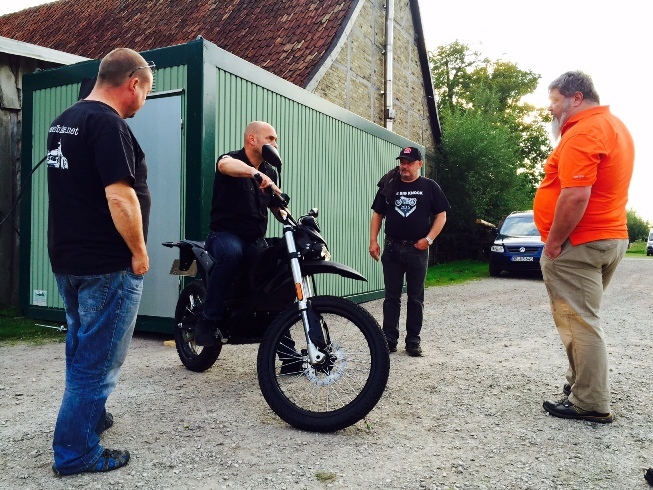 Good to see the return of Bill Ruehl over from the States and this time on duty with Zero Motorcycles. Riders were lining up to take the bikes out and Ralph, the local rep, told me that everyone here was so much more open minded about the electric bikes that they were showcasing. 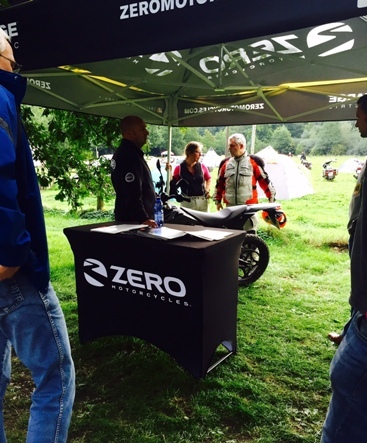 The Zero Stand was setup midway down the access road to the property and all morning I saw a steady que of interested riders being instructed on the operation of the motorcycles. As you would expect, the necessary paperwork was completed by all before they then threw a leg over their chosen machine and settled themselves in. With just a turn on the key, one by one, they gingerly rolled back the throttles and rode away as silently as the wind. 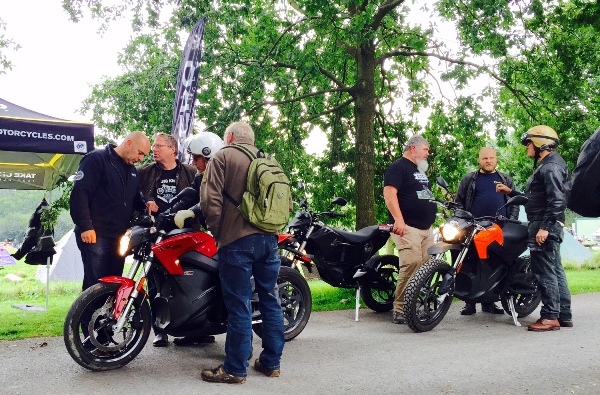 Ralph and Bill from Zero Motorcycles taking riders through the preliminaries before letting them loose. Behind them, onlookers were left looking somewhat perplexed and oddly bereft, as if the lack of sound had isolated or even robbed them of something. And, of course, it had. Any chance of feeling, gauging or imagining what the rider was experiencing from the sound alone had gone. 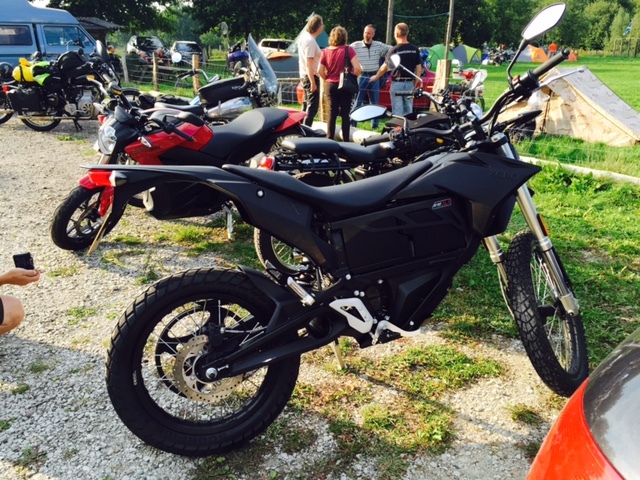 If the Zero electric motorcycle is about anything, it’s about what it gives to the rider there and then more than what it gives to the immediate audience. Indeed, the balance has shifted. While I took out the SR my brother took this out for a spin. Changing times then because the onlookers had just experienced another degree of separation and their loss was the riders gain. I could see some wondering about the whole experience but ultimately this only made those present even more eager than ever to try the machines for themselves. And they did, all day. Here's me coming back after a spin out on the SR model. For my part I took out the SR model and wow, didn't it go some! I took it down the small lane that leads away from the site before turning onto the main road and giving it some. No gears and no noise and I was able to consentrate fully on the experience the bike gave me with the only distraction being my increasing wonderment. 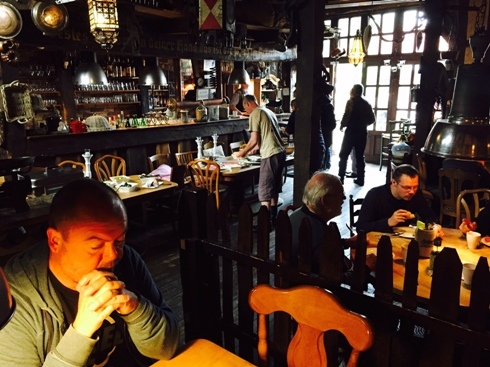 I returned to the site sometime later impressed and overwhelmed by the otherworldliness of the riding experience. I wasn't the only one to return from a trial ride with a sense of wonder clearly evident on my person. And as my brother Jeff so succinctly put it, “Every fucker came back with a smile on their face”. Turnout was good this year but we did not see anything new on the technical front as regards diesel bike builds. There were one or two new builds about the place, some of which were not quite 'perfected' but nothing more technically advanced than we have already seen. We witnessed one shaft driven bike 'let go' it's shaft in full flight, midway down the slip road and were astonished to see its rider risk losing his hand and arm when he reached back to grapple with the problem! Get in there! Would you if it let go while riding? Have to say I really enjoyed the rally this year. 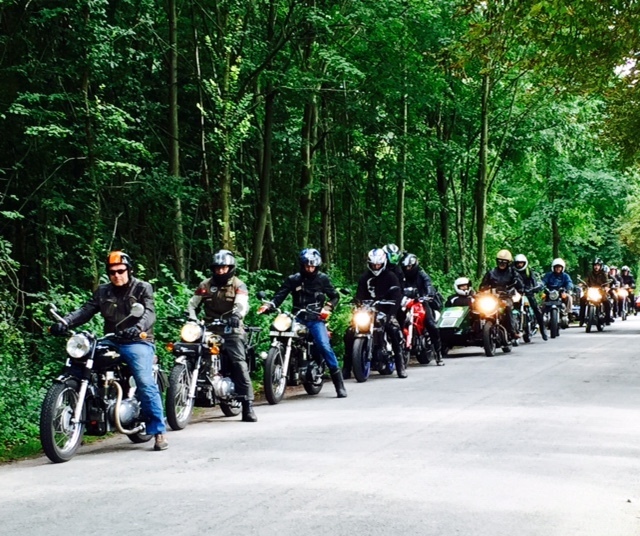 A combination of the trip out, the company on site, the banter (friendly talk), bikes and weather all made it a gathering to remember. 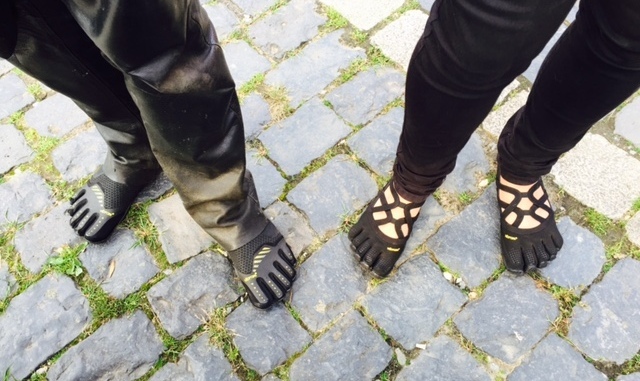 Put your best foot forward matey! 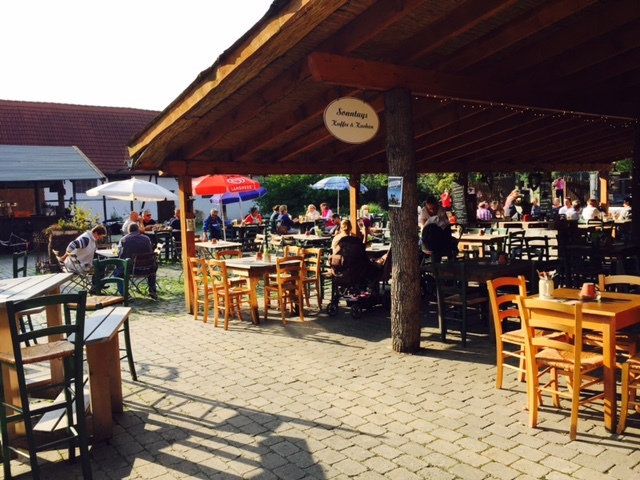 As usual, the breakfast laid on at Brauhof Wilshaus was exceptional. A fine spread of scrambled egg, meats and cheeses all washed down with multiple cups of my favourite breakfast coffee by Jacobs. The price I noted had risen from €6 to €7 and the plates hadn't got any bigger but return visits to replenish didn't seem to be a problem. Yum yum! We had some fun trying to teach the younger members present how to ride a motorcycle - something that is a good deal easier to do in a field than on a road! My Honda Grom proved to be popular in this regard and even experienced riders thereabouts expressed an interest in the little bike and took it up the road for a spin. 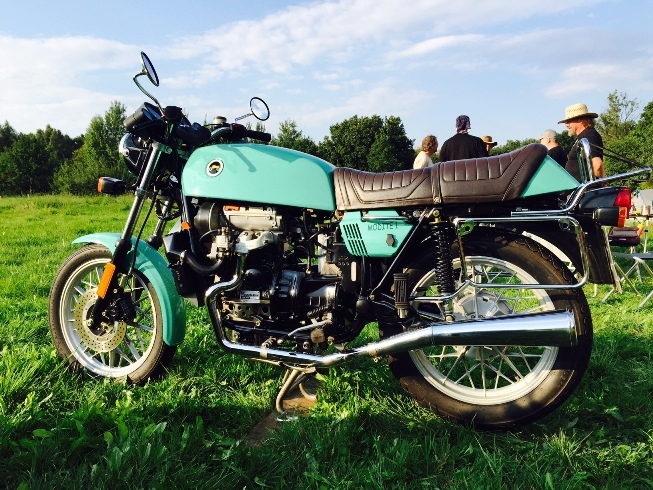 Lets hope more Alt motorcycles are encouraged to attend in future. It was good to catch up with Hubert Teller who informed me that he had at last signed up enough chaps willing to support the manufacture of gears specifically designed for those attempting K75/100 Daihatsu projects. 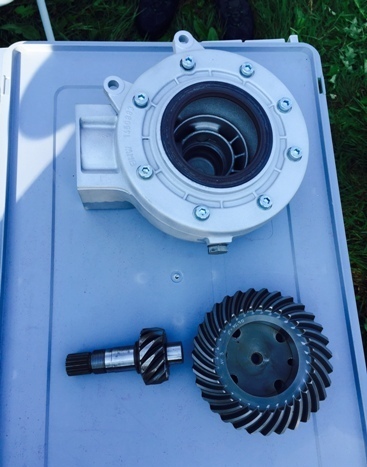 Some of us chaps are getting gears cut for projects. This year’s ride out took us to a local landmark tower that some of us had seen previously. Unfortunately it was closed for refurbishment, it being very old, and so we rode onto a motorcycle meeting that was organised by the local BSA club. My brother and I had visited this bash some years earlier and there were a good variety of interesting machines on show. 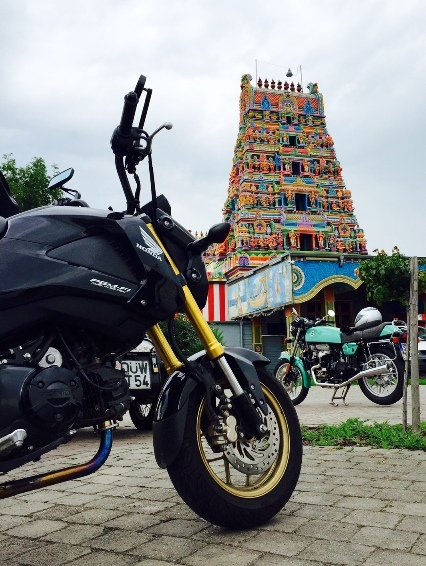 From here we rode on to a most unusual destination, a Hindu temple situated in the middle of an industrial estate. It proved to be a most fascinating building to behold and we were rather spellbound by the combination of colour and architecture on show. It wasn't lost on some that many of the Royal Enfield's in our merry group had originated from India and so had a link of sorts with the structure that towered over us. 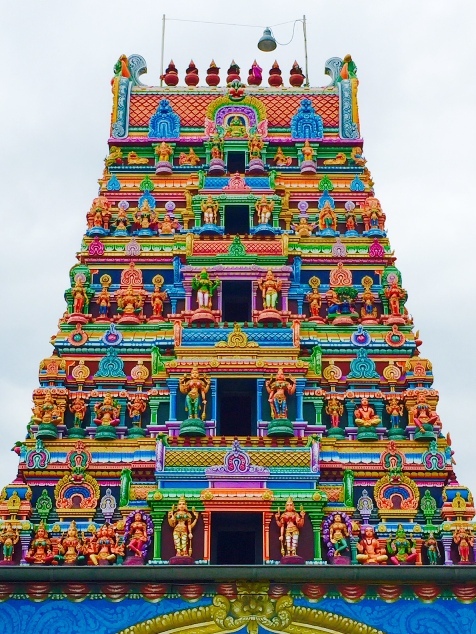 Close-up of the colourful temple. The runout lining up and about to leave the Tower location. My Grom and the Modite before the Hindu Temple. As with any motorcycle rally a good quantity of beer is consumed and it was with some bemusement that my brother Jeff discovered that Willy sold a particular fruit flavoured beverage. 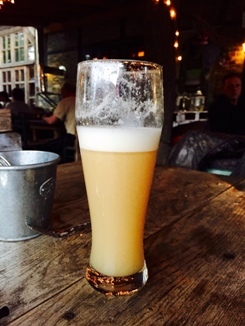 This Banana beer was thus consumed at an alarming rate and predictably took its toll the following morning. Am I the only one to equate certain booze with certain rallies? I doubt it! All in all I think that this year finally saw the Hamm rally (or Treffen) begin to move towards being a more Alternative event in general. Only time will tell if this keeps up or if the UK event goes the same way. If there is ever going to be a theme or thread for which the Alt scene naturally follows, then I'm sure it will still be what most always wanted it to be in the first place, one which puts M.P.G. before M.P.H. But, as bikers, we all know that M.P.H. is fun, we just don't want it to cost the earth. So, is that the way forward? Well, it's hard to see through the bottom of a beer glass. 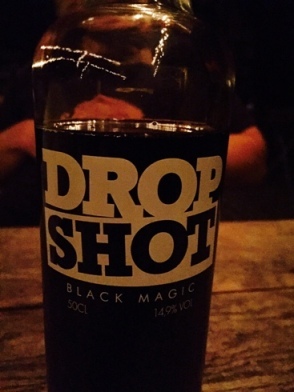 So bottoms up and cheers!! Checkout some additional rally shots below. The Diesel Wiesel crew never miss a Hamm motorcycle rally. 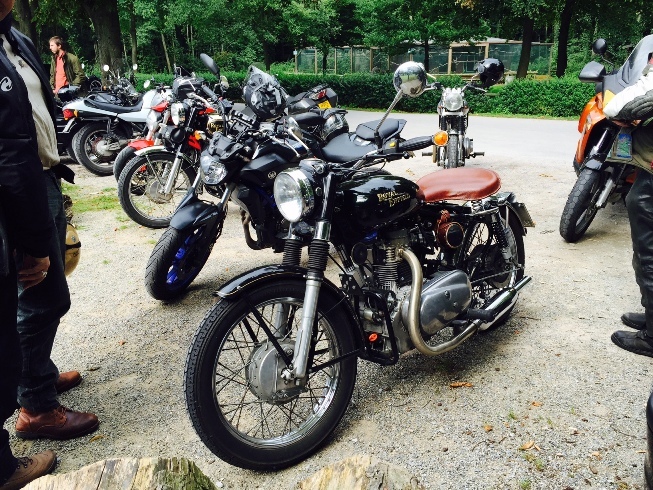 Many Jocken Sommer bikes were present at Hamm. The bikes at the tower runout destination. 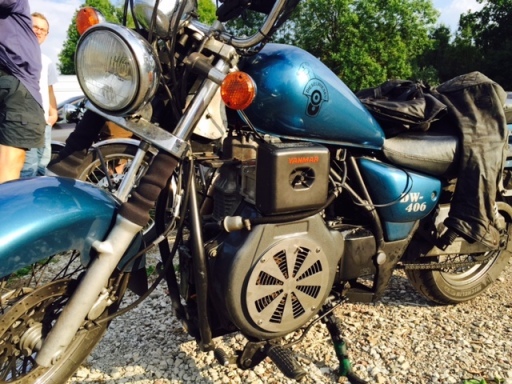 Our bike, The Ruggerfield, over from the UK. 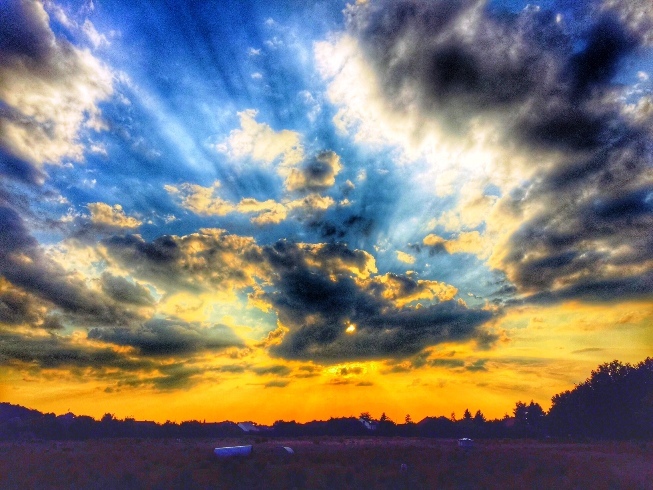 The evening sunset over the Diesel Treffen (tweaked with snapseed HDR filter). Zero motorcycle being got ready for the coming day. 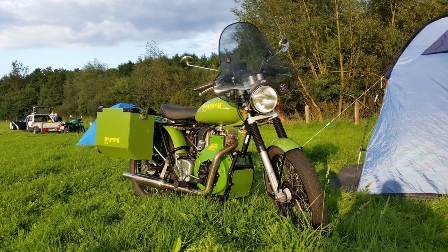 A traditional Royal Enfield Diesel motorcycle. The side of a diesel engine showing the cowling used to duct heat. 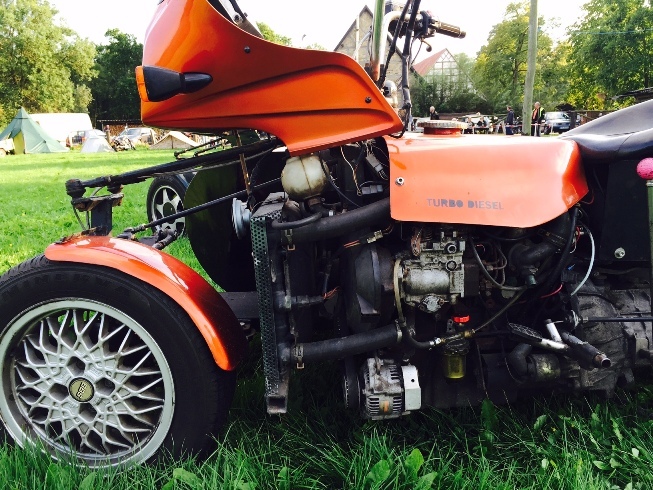 The Modite 1built by Hubert Teller. Diesel Tiger sporting the Lombardini engine, not the Smart.